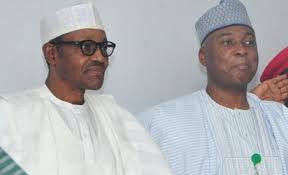 President Buhari, since the inauguration of the 8th Senate on June 9, has reportedly been shunning Saraki whose emergence and that of his deputy, Ike Ekweremadu of the Peoples Democratic Party did not go down well with the leadership of the All Progressives Congress. The aide also told Ashiwaju.org that this would not be the first time Sulu-Gambari had interceded on behalf of Saraki concerning the senate presidency. He said Saraki is now more worried with the resolution of the leadership tussle in the House of Representatives, where the Speaker, Alhaji Yakubu Dogora, after meetings with Buhari and other APC stakeholders acceded to the party’s decision and announced Mr. Femi Gbajabiamila as the House Leader. The aide added that Saraki was in Ilorin at the weekend, adding that the Senate President would continue with his mobilisation for prominent stakeholders to smoothen the relationship between him and Buhari. But in a telephone interview with our correspondent, the spokesperson for the Emir of Ilorin, Alhaji Solihu Mohammed, said though he could not confirm Sulu-Gambari’s mediatory role between Buhari and Saraki, the Emir had been playing unifying roles for the sustenance of the nation’s democracy.